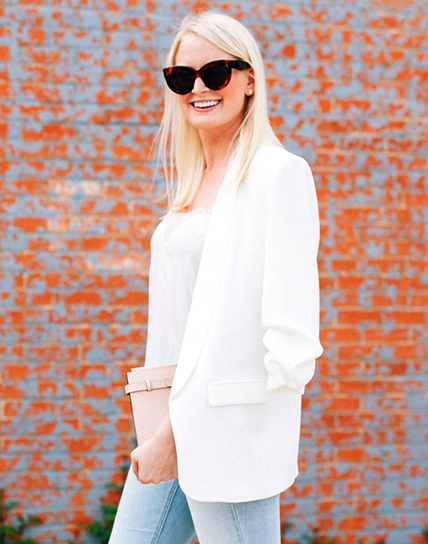 Lucy Williams of the blog Fashion Me Now is the master of chic, effortless dressing, and this look is no exception. With an on-trend neck scarf, oversize white button-down, raw-hem jeans, and texture-filled accessories, we are filing this away under perfect weekend style. Keep scrolling for the inspiring photos, plus our picks for getting the look. What's your go-to weekend look? Sound off in the comments below!